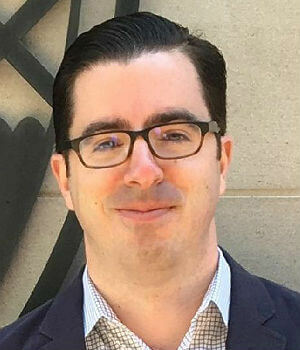 Michael J. Bustamante, Ph.D. (Yale University, 2016) is Assistant Professor of Latin American History at Florida International University, specializing in modern Cuba, Cuban-America, and the Caribbean. Dr. Bustamante’s current book project, “Cuban Counterpoints: Memory Struggles in Revolution and Exile,” tracks clashes over Cuban collective and historical memory, on and off the island, in the wake of the 1959 Revolution. His scholarly writings have appeared in Journal of American Ethnic History, Latino Studies, Cuban Studies, and Perspectives on History, among other publications. With Jennifer Lambe (Brown University), he is co-editor of the volume “New Histories of the Cuban Revolution,” currently under review with Duke University Press. Prior to pursuing graduate work, Bustamante served as Research Associate for Latin America Studies at the Council on Foreign Relations in Washington, D.C. He comments frequently on contemporary Cuban and Cuban-American affairs for publications like Foreign Affairs and NACLA Report on the Americas, and he has been an invited guest for media outlets like NPR, the BBC, Al-Jazeera America, and ABC Radio Australia. Since 2013, he has served as a recurring study-leader for educational trips to Cuba. His writings have also appeared in Cuban publications such as Espacio Laical and Cuba Posible.